I'll go first - 9,094 miles! Suspect our Brisbane-based fan has me beat though. Will take some beating that one. Just moved back to Dunedin from the Gold Coast in December. 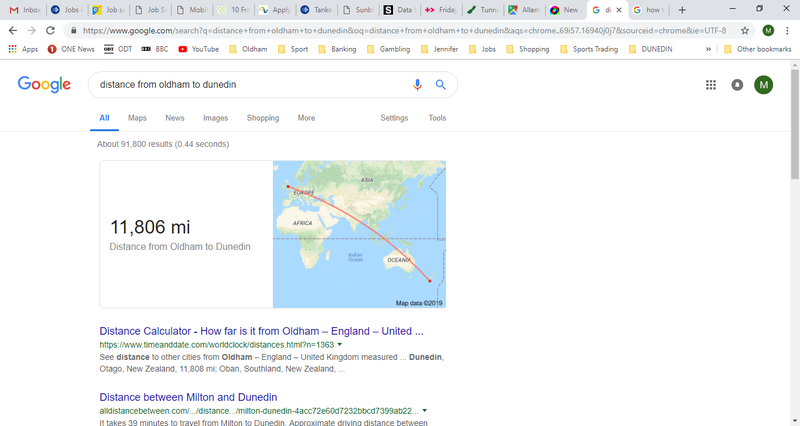 Dunedin is further than me. I am in Christchurch so a couple of hundred miles less. We’re bloody massive aren’t we. Tics everywhere. I can't beat anyone in NZ. I am just 10,546.92 miles away. May well be in Brisbane on Wednesday. Just for an afternoon though, ugh. This thread is somehow still going strong ? Is it pre season ? "Or you could just not look at it"